Vehicles are housed indoors in our fully staffed, state of the art facility located just north of the Twin Cities in St. Paul. We're minutes away from the Airport and all the downtown metro locations. This facility enables us to maintain and “detail” each vehicle so that it is ready every day to transport you and your clients in the comfort and quality that is the trademark of Total Transportation Corporation. Total Transportation’s chauffeurs are professional employees who enjoy providing first class service to our clients. They maintain the highest standards in the industry. Our insurance carrier must approve all new chauffeurs and each must undergo drug testing, a complete background and criminal history check. Total Luxury Limousine’s sedans are ideal for one to three passengers. These comfortable, chauffeured vehicles provide the convenience of no-hassle driving with the assurance of on-time arrival. 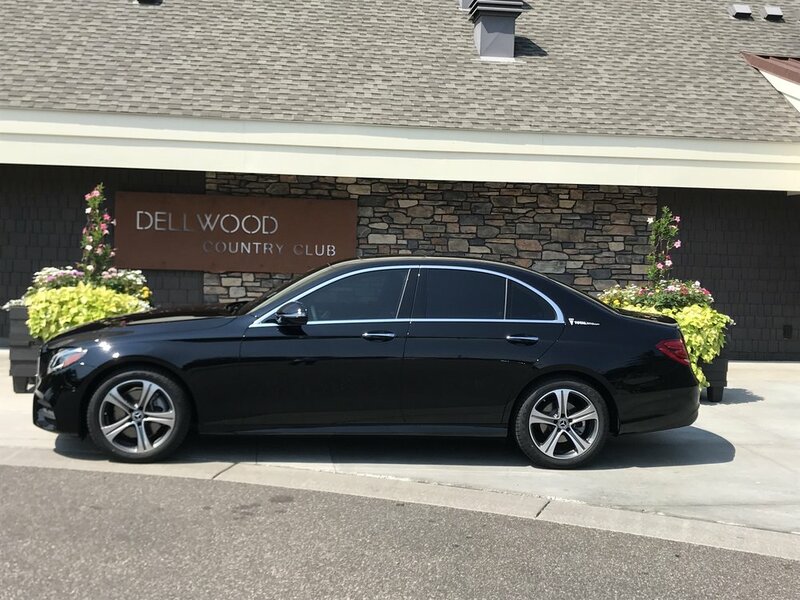 We feature the very latest in Mercedes executive sedans with our logo on the back panel for easy identification at airports and crowded events. Our chauffeurs are easily recognizable as well dressed in black suits, white shirts and company tie. Our Cadillac Escalade ESV takes the craftsmanship, innovation, style and performance you’d expect from Cadillac to a whole new level, making it the perfect all category transportation vehicle for corporate travelers, airport transfers, sporting events or casual outings. Our stretched Escalade has plenty of room for up to 20 passengers. The vehicle features, chrome wheels, a limousine appointed interior, fiber-optic lighting,a DVD, 42″ flat screen monitor, a special lighted floor, iPod capabilities, all the the luxuries you’d expect from a Cadillac. Perfect for weddings, prom, rides to the airport, or any special occasion where you want to impress! Total Luxury Limousine offers 4 and 8 passenger model stretched limousines. The limousines are equipped with TVs, stereo with CD players, divider window or privacy panel, leather perimeter seating, fiber-optic lighting and tinted glass for discrete transportation. The vehicles are non-smoking and come stocked with glasses, napkins and ice for your convenience. 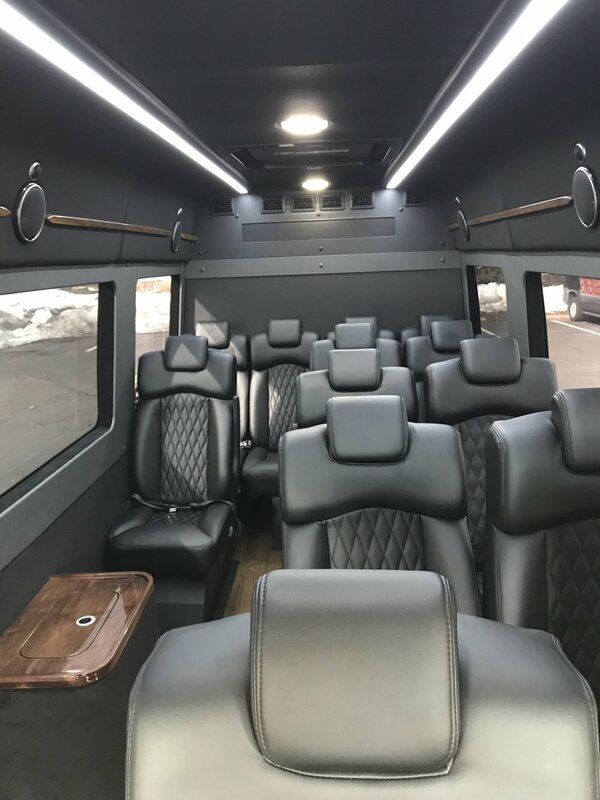 Total Luxury’s mini coach provides seating for 23 to 37 people and features forward facing leather seating with an aisle down the center; TV and stereo. This vehicle is perfect for basic transportation of large groups for any corporate or personal event. It works great to shuttle people to/from hotels, receptions and convention sites. Total Luxury Limousine offers luxury limo coaches with limousine style interiors that will seat up to 20 passengers. The coaches offer crystal glasses (rock & flute), ice chests, fiber optic lighting, TV, stereo with iPod capabilities and leather perimeter seating. Total Luxury is proud to offer our Executive Limo Bus! 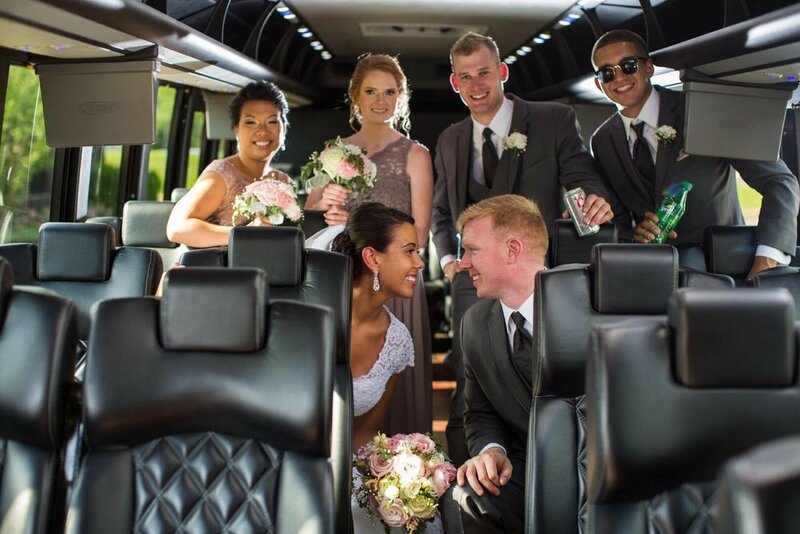 With luxury perimeter seating for up to 30 passengers, the limo bus is the perfect transportation for weddings, bachelor/bachelorette parties, corporate events, sporting events, party nights on the town or for transportation between cities. It offers three televisions (one 42″), satellite TV, DVD, stereo, crystal glasses, ice chests and on-board bathroom facility for your convenience. Our fleet of Mercedes Standard and Limousine Sprinters are the perfect choice to shuttle your guests around town in comfort and style! Weddings, prom, group outings, and special occasions where only the best will do! Chauffeured van/shuttle transportation is a convenient and economical way to transport smaller groups, individuals to/from the airport, hotel or convention sites. Vans hold 10-14 passengers as well as luggage and promotional equipment storage space makes it the perfect choice. Our new ADA shuttle has all the amenities needed to ensure guests with mobility needs are transported to their destination safely and in comfort. Total Transportation Corporation 30, 40, and 56 passenger luxury motorcoaches make transporting your large group easy and affordable. Move your group around in executive comfort with Wi-Fi, on-board restroom, and multiple TV monitors. Built in 1995 and totally re-built in 2010 by owner Dave Murray. 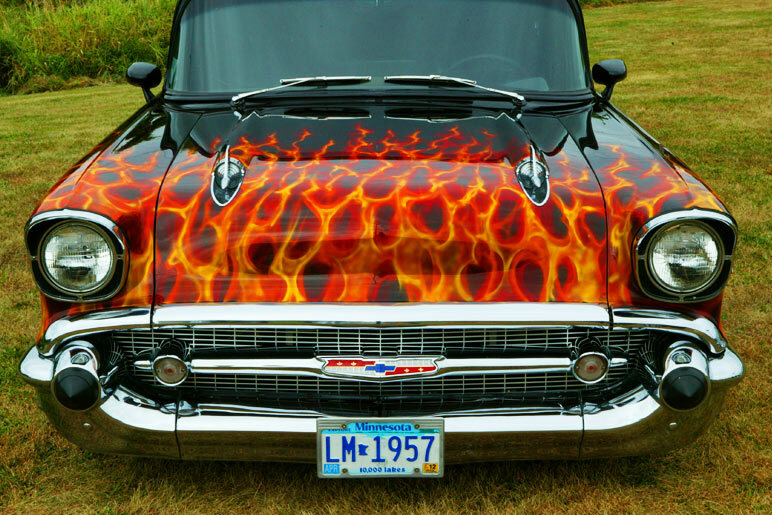 The “Heavy Chevy” is a classic for young and old alike.